As more and more diversions are created for children to engage in, how can we help in making sure a child gets the best kind of learning at his or her most crucial stages? Kids nowadays are spending less and less time outdoors, having been exposed to gadgets and other forms of technology even as infants. But recent studies show that children, especially those aged 3 and below, who play outdoors regularly grow up happier, healthier, and stronger! Since 2010, Baby Blast has spread awareness that enjoyable, unforced learning, as well as hands-on play and parent-child bonding during the age of 0-3 years is critical in laying down the foundation for the child’s future learning and holistic development. Every year, attendance to the event grows in number, as more families enjoy the fun activities and learn from the featured topics. Outbox Media Production Agency, in cooperation with the Department of Social Welfare and Development (DSWD) and Philippine Pediatric Society (PPS), once again celebrated the wonder of life at its early stages! 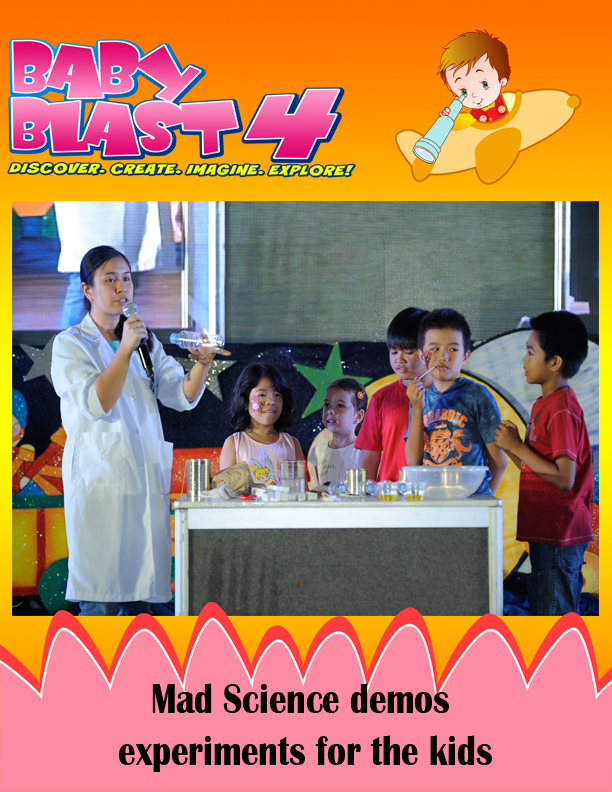 EHS advocates, teachers, experts and parents together with their kids, gathered last April 14, 2013, from 10am-8pm at the Trinoma Activity Center for “Baby Blast Year 4: Discover, Create, Imagine and Explore!” a one-day event highlighting the importance of early childhood education. This year’s event was hosted by Toni Aquino of DZMM, Jackie Go of gojackiego.com, pre-school teacher and TV host, Nikki Veron Cruz, celebrity moms Snooky Serna and Jenny Miller, sportscaster Anthony Suntay and journalist Peach Mascarinas, together with the tandem of Anthony and Rossel Taberna. Performances and messages of support for early education were also given by Gail Blanco, Paolo Santos, Patricia Bermudez-Hizon and Tintin Bersola-Babao. The program was opened by a dance number from talented child singer Pauline Agupitan, together with the Neutron Acrobats and OBM Dancers. This year’s program highlighted the importance of allowing babies and kids to experience the outdoors and engage in physical activities that can benefit their social, mental, physical and emotional development, given today’s tendency to merely rely on gadgets and technology to keep kids busy. There were parenting and health talks led by experts and medical practitioners, like Ms. Glenda Derla, Child Welfare Specialist from the DSWD and Dra. Cynthia Cuayo-Juico of the PPS - School Health Committee. 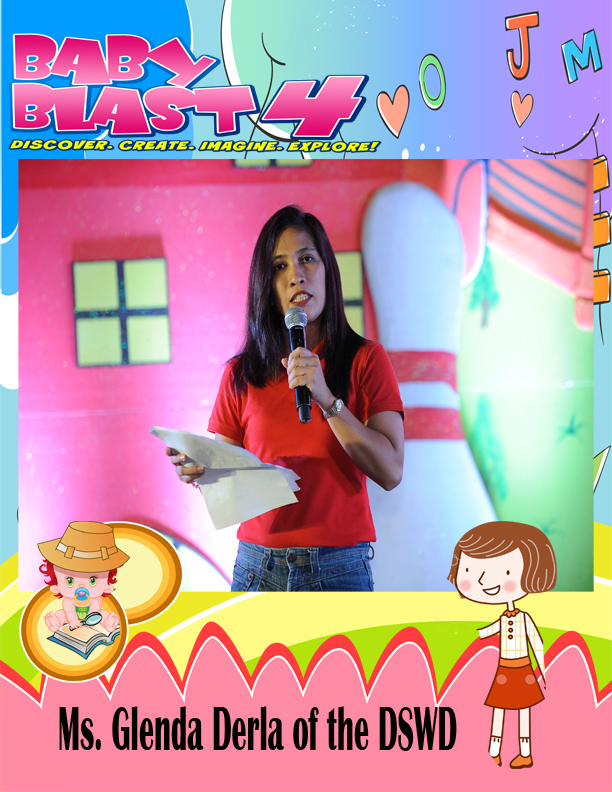 Echo Store owner, Sharon Chua, shared an interesting topic on being a “green mom” or “eco mom”, discussing how kids can become more environmentally conscious and giving a recycling demo called “From Trash to Toys”. Life coach Ms. Maricel Moreno-Laraya also gave a talk for parents on “How To Keep A Loving Relationship With Your Partner.” Essential Newborn Care was also tackled by the Consultant of the MMC and CSMC Pediatrics Department, Dra. Lourraine Co, MD, FPPS. A revival of traditional Filipino outdoor games or “Palarong Pinoy” was also dicussed and demonstrated by TV Host Patty Nuguid-Santos of Buhay Pinoy, promoting the benefits of fun play and interaction for young kids. On-ground areas like the World of Discovery, Beyond your Imagination, Baby Explorers and Creativity Corner gave kids the chance to play and interact with other kids, browse through books, play with toys, draw with art materials, and get hands-on with the educational gadgets and activities available today. Contests for the whole family were held before the event, and winners were awarded during the program. Baby Magazine held the “Brilliant Babies Video Contest” where parents sent videos of their babies showing advanced development. The winning entry received a 1-year subscription from Baby Magazine, along with other prizes. The “We Love the Outdoors Family Contest” gave families a chance to submit their best photo doing a fun, outdoor activity. 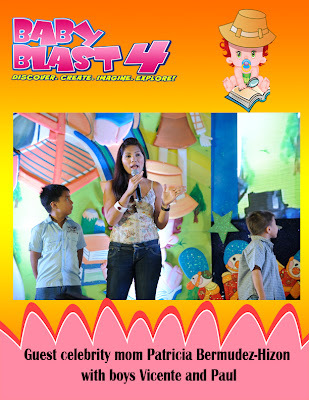 The winning entry won a family staycation package at the Waterfront Manila Pavilion. Other contests held were the “Design My T-Shirt” art contest where kids submitted their interpretation of this year’s Baby Blast theme. The winning entry became the official Baby Blast event t-shirt design and received art materials and other prizes. For the moms and dads, The Blounge Salon also raffled off a Full Pampering package to give parents a well-deserved treat. 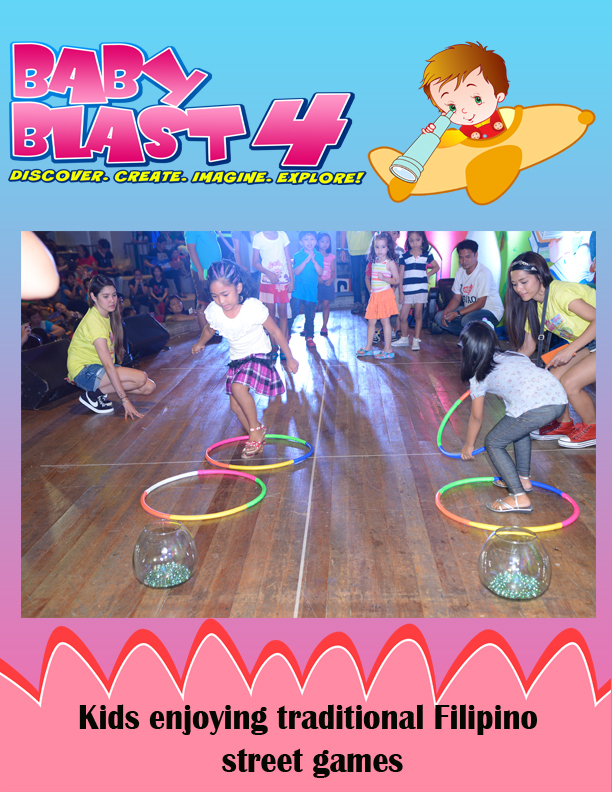 Both kids and parents also joined fun contests from Bye Bye Fever, Rite Med, Refresh Big Sip, Regent, Ferna, Lock & Lock, Bibbo Hotdog, Bounty Fresh, Uratex, Osihi, and Magnolia Frozen Delights. Lots of prizes were given away! The event’s official print partner, Baby Magazine, also held a Search for the Cutest Babies attending the event. Babies were awarded at various times during the program, and all selected babies will be featured in the magazine’s next issue. Pre-schools like Dynamic Recall, Playlab, LinxProvi8, H.A.N.D.S. of Children, Filway Marketing, and First Robotics also presented their EHS Programs for parents who are looking for schools to enroll their kids for the summer or for the next school year. There were also mascot appearances by Ainon Baby, Bibbo Hotdogs, Robby Rabbit, and TJ Hotdogs, much to the kids’ delight! 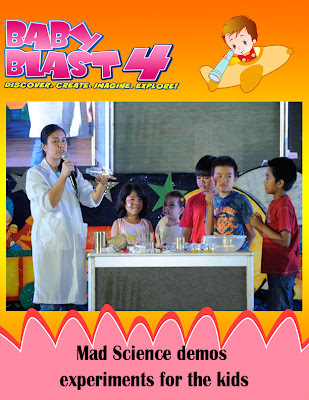 Cool science experiments by Mad Science captivated the kids in the audience! Diliman Prep School also had their taekwondo team onstage to demonstrate a routine. Self-defense techniques to stop bullying were also presented by International Krav Maga Federation (IKMF). Free face painting and kiddie hairstyling was also made available to the event participants courtesy of Outbox Media. 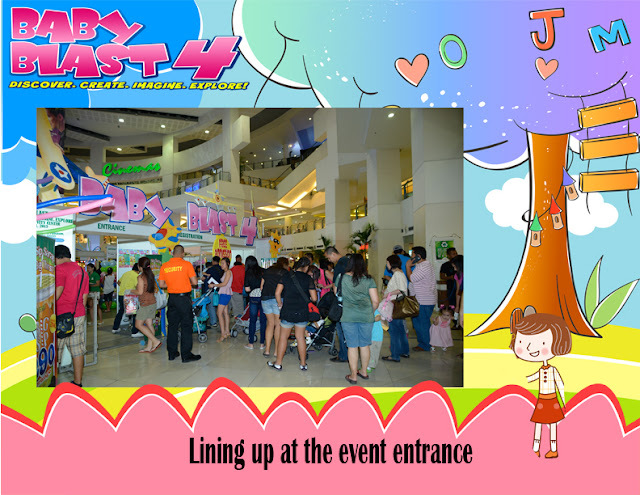 Booths and other fun activities wowed everyone, and exciting freebies and loot bags were also given away. It was truly a great day for the whole family! To continue spreading this advocacy, an annual Outreach Program is held a week after the Baby Blast event in Trinoma Activity Center, at a barangay in cooperation with the DSWD and DepEd. This year, the outreach program was held in Brgy. Bagong Pag-asa, Quezon City where parents and kids happily participated in the different games, learning segments, fun activities and even mascot appearances brought in by friends from Diliman Prep School, Robby Rabbit and Jollibee. Dr. De Jesus of the Department of Education and Ms. Jacelyn Paguio of the DSWD also graced the occasion. Gift packs were also given to the participants with lots of freebies from Jollibee, Robby Rabbit, Unilever, RiteMed, Magnolia, Universal Robina Corp., Big Sip, Jack n’ Jill, Bounty Fresh and Regent Foods Corp.
Baby Blast is an annual event that aims to enlighten parents that enjoyable, unforced learning, as well as hands-on play and parent-child bonding at an early age is the key to an intelligent, well-rounded and well-mannered individuals. See you again next year for another round of Fun Learning!